In the world of digital marketing, there’s always a danger that marketers, who make it our business and passion to stay ahead of the curve in an ever-changing field, can do our customers a disservice by being too excited about new developments. We can get so caught up in the fine print of video retargeting and database segmentation that we neglect the basics. We forget that aspects of this field that are obvious to us on the inside may not be so clear to someone working in a different industry. Sometimes, a refresher is needed. Sometimes, it’s good to just take a minute to get back to the basics. Search engine optimization (SEO) is one of those areas that, because we’re so used to it, can fade into the background of a dealership marketing strategy. As an online marketing tool, SEO is essential because it puts your website in front of people who are actively searching for the cars you sell or the services you provide. 60 percent of traffic from Google searches goes to websites that appear in the top three search results on the page, so climbing to the top is key to capturing the leads that SEO can generate. What do you need to know to make your dealership website one that Google will recognize as a valuable, relevant, and authoritative source for its search results? Onsite SEO consists of the content found on and within your website. Offsite SEO refers to links between your website and external sources, such as other websites or social media shares. Title tags – The clickable headline for a page’s search result that tells users and engines what the page is about. URL optimization – Making the page name structure logical and descriptive of the page content. Microdata – Data embedded in the HTML code of your site that helps computers understand what the page contents say. Schema markup – Code on your site that improves search results by providing context for what your other microdata means, not just what it says. Rich snippets – Expanded information provided in search results, pulled from structured website data, that increases search visibility. Alt tags – Searchable, descriptive text alternatives for images. User experience – Providing a site that is mobile friendly, easy to navigate, and quick to load. These go hand-in-hand, because while there are certainly link-building strategies, the easiest way to build inbound links to your site is by providing relevant, unique content people want to share. Regularly publishing quality content drives website traffic and builds your authority in the industry. Knowing how to create that content and earn those links starts with keyword research. Keywords are important to search engines, but the days of trying to game the system and trick the algorithms are behind us. Fortunately, those tactics have been replaced by the idea that showing people what they want to see provides a better experience for everyone, and scores SEO points for your site. Approaching SEO with the customer in mind means researching which keywords are most popular in searches. This will help you create content your audience wants to see, and find ways to incorporate them with minor differences to help set you apart from your competition. Ideally, you’ll hit the sweet spot with keywords that a lot of people are searching for, but not a lot of competitors are using on their websites – or are not using as well as you are. This probably isn’t revolutionary for some of you, because the end goal of SEO remains simple and unchanged: positioning your website as a useful, relevant, and authoritative voice to search engines and their users, driving traffic and revenue. However, it pays off to never lose focus on the foundation of your digital marketing efforts – even when you feel you’ve already mastered them. Are you leveraging SEO to its full potential and seeing those results in your dealership? 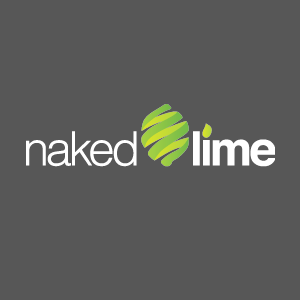 If you need advice for a new website or an audit of an existing site, call 855.NKD.LIME or email info@nakedlime.com today.